Comments: It seems redundant to call this plant a species of red mulburry when it has white fruit. But, that's the way it is. 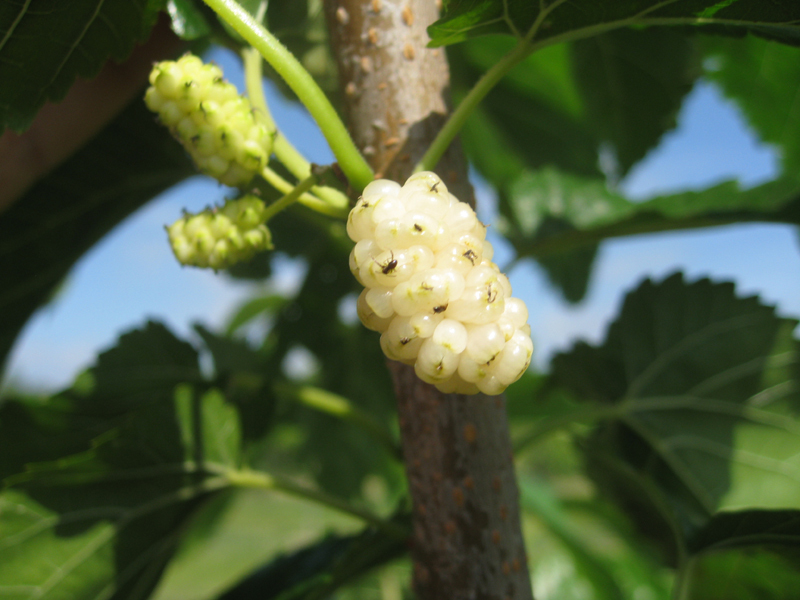 Birds, oher aninmals and insects know when it is ripe, although it becomes whiter when ripe. One advantage is that the fruit does not stain surfaces on which it falls reddish or purplish. It is native to the Eastern United States and grows best where water is not limiting, However, it is drought resistant.